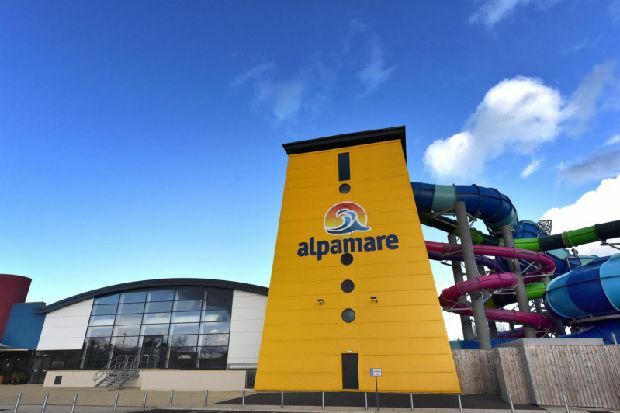 Scarborough’s £14million Alpamare Waterpark will face a hearing to determine if it will be granted a new alcohol licence. The operator of the Burniston Road attraction, Alpamare UK, was issued with a winding-up petition in January over unpaid debts to British Gas. The company reached a Company Voluntary Arrangement (CVA) to meet its debt obligations on January 21 to allow it to continue to operate. Filings show that it owed more than £700,000 to British Gas, £2.3 million to Benchmark Leisure, its landlord, £114,000 to HMRC and £107,000 to Scarborough Borough Council, which provided a £9m loan for the attraction to be built. One consequence of the CVA was that it invalidated the company’s premises licence with Scarborough Council, which allowed it to hold certain events and to sell alcohol. Since then the company has used a number of Temporary Event Notices (TENs) to allow it to operate as normal. It applied for a new premises licence but with Benchmark Leisure replacing Alpamare UK as the applicant. Two members of the public have objected to the application, making a number of allegations against the running of the attraction meaning it will now go to a hearing by Scarborough Council’s licensing sub-committee to be held on Friday April 26. The objectors argue that a licence should be refused as they claim to have photographic evidence of alcohol being consumed in prohibited pool areas. The photographs in question will be shown to the councillors on the committee at the hearing. According to a report prepared for councillors ahead of the hearing, it states: “[There is] an allegation that the complainant holds evidence of several staff parties and that these parties have continued until the early hours. The report adds that not all of the 15 grounds for objection submitted “may not directly relate to the licensing objectives but have been included in the interests of openness and transparency”. The committee has the power to grant, refuse or amend the applied for licence.